Nanny was having a cuddle with Addison tonight and he started to investigate his little features. He slowly worked his way up his face to his ear and had a little hold, then his arm went to the top of his head to find this furry stuff! Next thing there was a squeak and a squeal… Addi had discovered he had hair, and yes! it hurts when you pull it!! Addi Swaddled for His Own Protection! 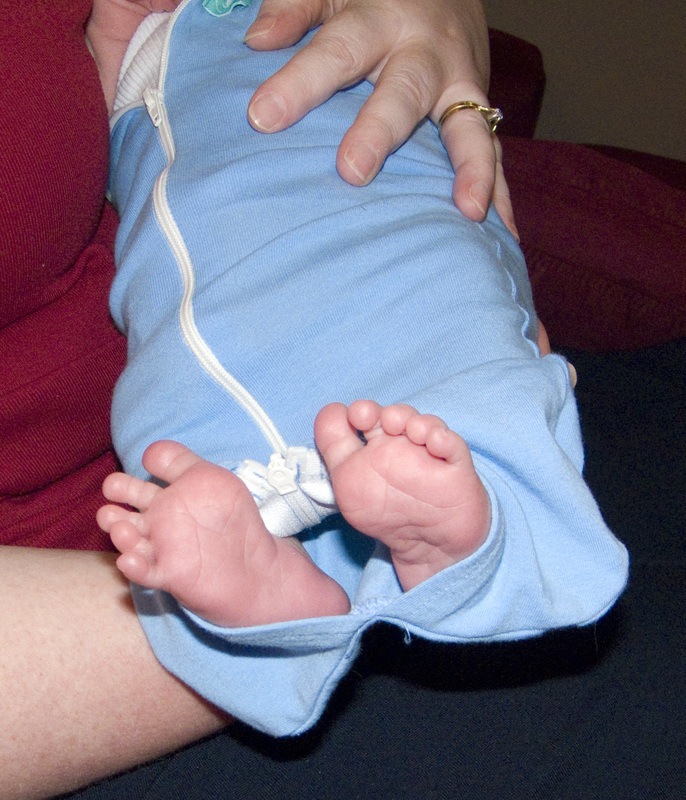 There is a very good reason we wrap and swaddle Addi, he ends up getting a handful of hair and giving it a tug! He still manages to get some part of his body loose… my little squiggly kid!